Ladies, it's time to step up and run a chocolate factory like no other! Don't miss out on your chance to be the lovable Willy Wonka from Roald Dahl's brilliant creation, Charlie and the Chocolate Factory. 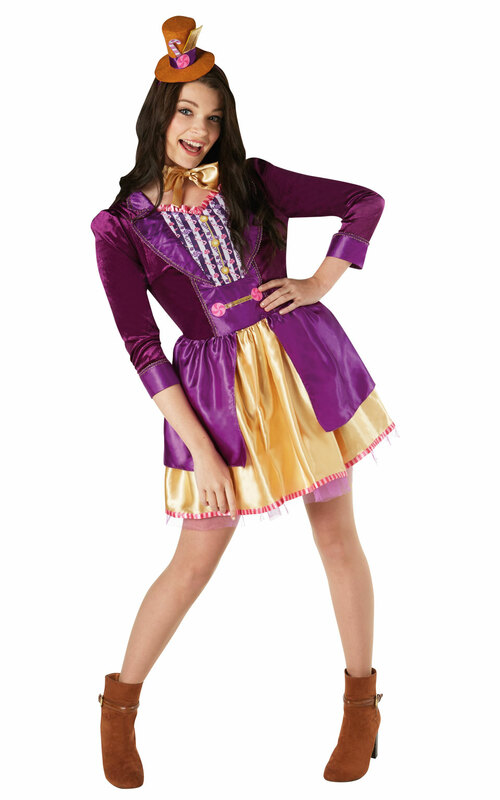 Our Ladies Willy Wonka adult's costume provides all you need for whacky, colourful fun, perfect for World Book Day and Week or film inspired fancy dress. This outfit is complete with a beautifully detailed dress, jacket and fun mini hat for a quirky finish.